Luanne, I fully understand about being weighted down with too much items. I'm trying to declutter also. I have to stop collecting things and get rid of things. I like the saying "Less is More" I've got rid of a lot this summer in my Garage Sales and I'm feeling less burdened. Good luck with your wanting to work from home. I hope it happens soon for you. Also keep a positive attitude that the future will be better. Good that you had some time off. I completely agree with yo uthat one should not attach so many emotions wit hinanimate things. Most ofthe time we end up buying thingswe donot require, getting rid of them is a good option and a pth to be free from their bindage. I'm really glad you are on such a positive journey now, Launna! It's so amazing how far you have come with your health and your way of thinking. You are so much stronger and positive, which is the best way to look at life in order to keep yourself happy. I'm really so pleased for you. Everything will try to get you, it will be testing, but after everything you have been through it's going to be a walk in the park! Those are thought-provoking quotes. It is very difficult to let go and deal with change. But sometimes change is best for us. It's so good to hear that you feel you deal with things better now. That you don't try to make up for loss with bad habits that will eventually make you feel even emptier. So glad your on the path to healthy. Thats the most important thing. I feel like I have gained weight too. I went out with some friends last weekend and they said I was very skinny, LOL. So I've been eating. Sleeping in is priceless. Unfortunately today is the last day, so all i have now are weekends to sleep in. I totally love that first quote. Yes, sometimes we need to hurt in order to grow. Have a lovely weekend beautiful. I think that happens to all of us but in different ways; we buy or hang on to stuff to fill a void in ourself. And yes, nothing is certain in our life as tomorrow will always present another challenge. We just need to chin up, brave on and grab the bull by its horn. Oh..such a good post. I'm glad things are looking up and I hope you'll be able to work from home. Yes, we do hang on to so much. I'm glad you are making good memories with your teenager, too. All the best at living well! Life is too short to be frustrated all the time, we have to learn not to loose, I think, but to let life go its way, even though it's a different way than we had thought. That is what I've been learning this year, Launna. Do you think it can have sense? So is the balance and peace in your life that you've described. Good for you! I'm rooting for you!! I know what you mean about keeping things organized and keeping everything in its place - it isn't easy especially with teenagers! My own mother was the worst housekeeper ever! I think that is why I am a bit of a neat freak! Patience and a good positive attitude can certainly help in our day to day living. As does choosing a healthier lifestyle... eating wisely, exercising and taking time to rest a while too. Can you believe it's mid-way through August, the year is going too quickly! Hi dear Launna. I hope you enjoyed your short vacation and that you had a relaxing time! Love the post you wrote! Good to hear that you feel good! I'm so glad for your great progress and you had a lovely and relaxing break with Valentina! Thanks for sharing another inspirational post Launna! 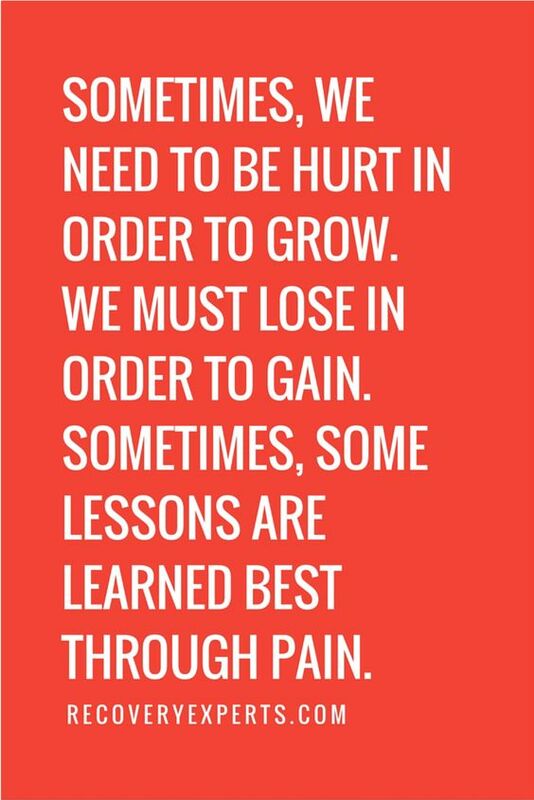 Some lessons are learned best through pain, very well said and these lessons help viewing life from a different perspective!! Hope you are doing fine!! I hope you have had a nice holiday. I'm sorry for Andrea , but at least you've spent your time with Valentina. I'm very proud of you for the sport and for good nutrition . Your words ring so true Launna.....we have to give up somethings to have other things. And touche for taking care of yourself. You're worth it. Happy week. Glad you are getting mentally lighter this summer. Such a good feeling to let go of things in our lives- even when we didn't realize they were holding us down. Ernest Hemingway said, "The world breaks everyone, and afterward, some are strongest at the broken places." Day by day, you're getting there. I'm happy for you enjoying the time off. You just remind me I need to buy a new bathroom scale! Just like you I would hold on material that didn't bring me any joy, but now I'm having a new life fase and I'm selling and donating little by little all the not needed things. Let's lose to gain together! Aquela marca é maravilhosa, Launna! Sou apaixonada pelos produtos. Fico muito feliz de saber que você está caminhando na direção certa! Me admira ver que você está se esforçando para alcançar seus objetivos. E tenha fé que logo você vai conseguir trabalhar em casa! Great post and points. I sure hope it the approval goes through after you've done all the work to prepare for it. But as you've pointed out you accomplished something major along the way that you might not have done if working from home hadn't been a foreseeable option. Totally agree - sometimes we need to take 3 steps back to leap forward! Beautiful thoughts as always, Launna. 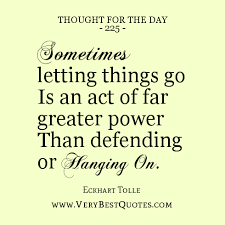 I agree on the importance of lettinggo certain things go, whether because they're toxic or simply unnecessary in our lives. 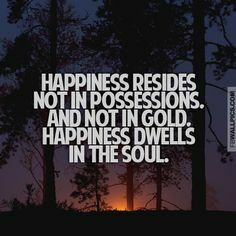 Just like what happened with your house decluttering, it's all about making room for new things to come by only keeping what we really treasure from our past. You are right, disappointment is part of life. Everybody goes through this at some point in their lives. I'm happy everything is falling in place for you. Hope you had a great day. kisses. 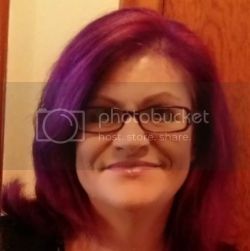 Hi Launna so glad to hear you were able to take some time off it's good to do that I think we should do that more often to be honest. Disappointments are apart of life I think it depends how we handle it that speaks volumes. Losing something good to gain something great. Life is so mysterious, but amazing! I couldn't find something more inspirational to read right now than this!! I was promised a job as someone assistant before I went to summer break, and when I came back, my boss told me they can't take me, because it's a public institution and they have very strict hiring policy. Just yesterday I found out one of my schoolmates started to work there, so I'm still not sure if I didn't just get played. Disappointment does happen, but I agree life is too short to dwell on it for too long! I absolutely love how you share the things you have learned in life and I could not agree more. Life is like a series of challenges, isn't it? the way we react to them definitely define us and as you said things always work out the way they are supposed to. I'm glad you are getting back in track with your health, I'm trying to keep up with my workout schedule as well! which can get hard at times. Launna looks like we are both treading the same path at this moment. Organising an office desk (which I hope you could share with us soon), facing disapointments and decluttering Yes! In Feng Shui (That's what I've begun to read)they say that a lot of energy is amassed in how the space is used in your home and for that very reason, I too am decluttering all my old furnitures, letting go of all the good/bad memories associated with them and paving way to create some new memories by redoing my entire home. That's what's been keeping me so occupied the last couple of weeks and I think will still take some more time before I can finally be proud of our little space that I can call home. I'm glad you are always on a positive track in life. Life isn't all rosy after all but after reading so many of your posts, I think who better than you to find a positive outcome to tackle it! Love you! Hello beautiful Launna. I hope your week is going great. I just stopped by to sprinkle some love, <3. These are powerful quotes - and I fully agree with all of them! 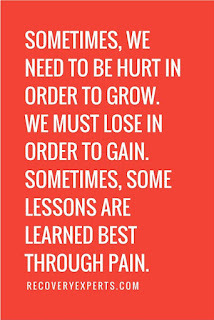 Ultimately, pain and loss are challenges that give us the opportunity to grow. I have a few days off work right now and am immensely enjoying the free time...just like you said: sleeping in, staying up, the little luxuries of life. Decluttering is also on my to-do-list though...I really need to start with my closet. Hellow launna.. yeah life is to short dont wasted with frustated think. Just enjoyed the short time with beloved familly and do what make you happy. Happy to hear you had grat time during your vacation, and that now you're full of energy and positivity to front your normal life! Of course disappointments there always will be, but I bet that now you can front everything in the right way, and that you'd transform every bad thing in a gain! Very proud of you sweetie! Também amo aquela marca, Launna! O demaquilante é incrível! Perfeito para tirar maquiagens mais pesadas. This is a beautifully written blog post Launna. Well done for eating healthily for five weeks and ensuring you get enough exercise! That's a brilliant accomplishment! You make a very valid point. We need to make a daily, ongoing effort to achieve our long-term goals, even when we encounter setbacks. I'm sorry to hear Valentina wasn't able to visit. I hope she'll be able to soon. Thanks so much for your sweet comment on my blog. Have a lovely weekend. A great post and I do agree that sometimes we often need to loose in order to gain, and this can apply to so many things. It's great that you've been into your fitness, keep going, staying healthy is such a positive thing. Started getting fit in 2012 and didn't really look back! I'm glad the office space is coming together for you. As for Valya... just enforce that nothing of hers can be or live outside her room. That's what I do with Daya, it is strictly enforced.....and it works...ongoing effort but it works. Thanks for visiting my blog again, I'm looking forward for your next post! Searched about the Jem dolls you mentioned, and they do remind Lammily a lot. As for Susi, it is the brazilian version of Tammy/Sindy, do you know it? Dear Launna, we are in Toscana at last, I hope to gain some sleep. The internet works bad here, but the place is so lovely, we are in the green, near the sea. I hope you can start relax a little and sleep well at last. I send you a big hug! I've just bought a book on decluttering called The Life Changing Magic of Tidying by Marie Kondo and I can't wait to start reading. We're about to move homes and my husband had made an offer on a home on an impulse ( because we almost couldn't find anywhere and we're desperate) and had paid a deposit without me having seen the place. I went to view the home that we were going to be moving to only to discover that there is absolutely no storage. NO STORAGE! We currently have a lot of clutter courtesy DH and his tendency to hoard so, so as not to lose my mind, I've just bought this book to help me figure out my next move before an anxiety attack sets in.